With a keen eye on operating costs, one Norfolk farm has switched its rubber-tracked allegiance. Geoff Ashcroft went to find out more. 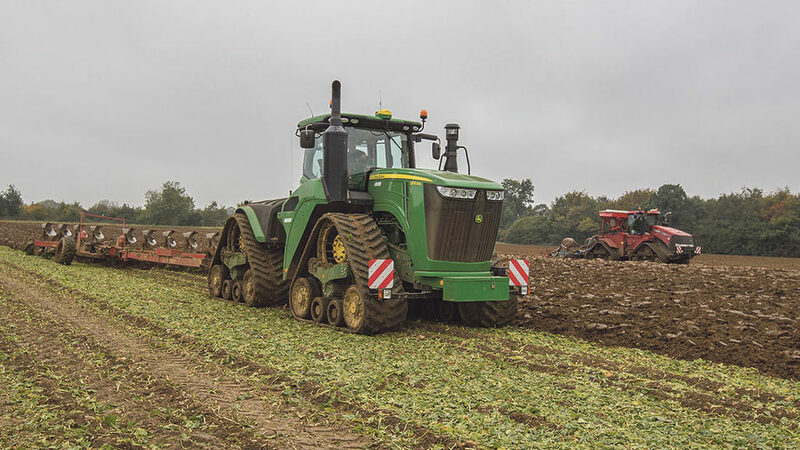 John Deere 9570RX handles frontline cultivation duties for the 2,400ha Norfolk farming business. 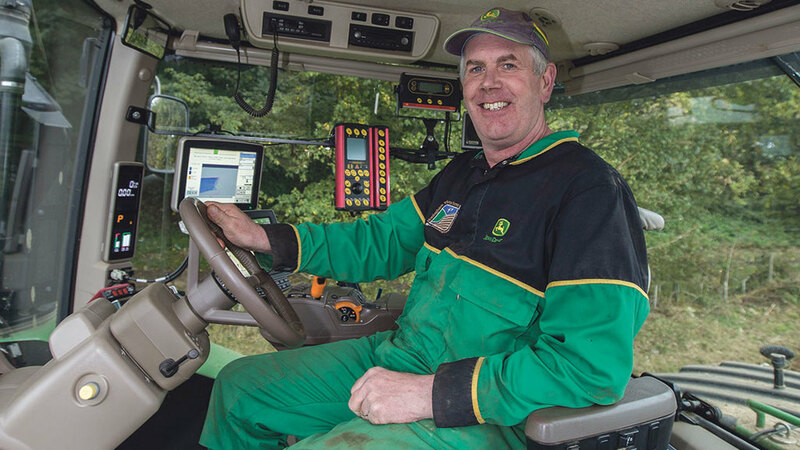 Having almost completed a full season, clocking up more than 1,350 hours, it is safe to say the honeymoon period is well and truly over for Honingham Thorpe Farms’ John Deere 9570RX. The 570hp frontline power source is the latest in a long line of rubber-tracked machines which have been relied upon over a 20-year period, as farm manager Jamie Lockhart explains. “Honingham is no stranger to rubber-tracked power,” he says. “Over the years, we have had a Cat 85C, a Case IH Steiger 9380, STX440, STX450, a Challenger 865C, and latterly, two further Case IH STX450s – our latest being a Tier 4 model. 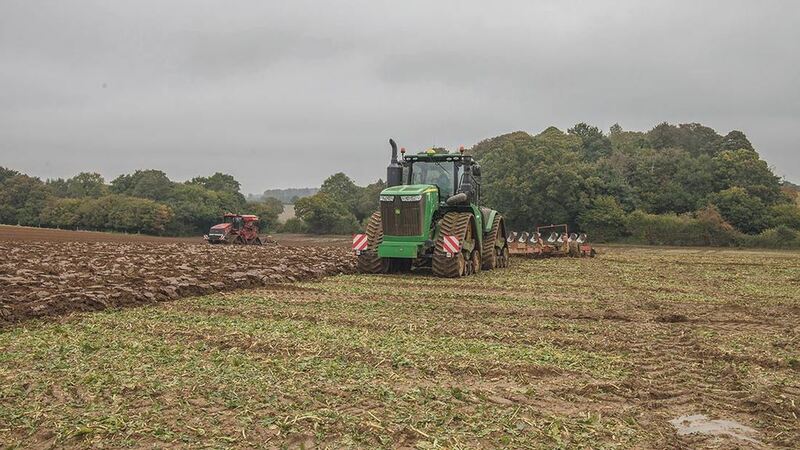 Based at Colton, Norwich, Honingham Thorpe Farms works 2,400 hectares (5,930 acres), comprising 1,600ha (3,953 acres) of winter- and spring-sown combinable crops, 200ha (494 acres) of potatoes, 250ha (618 acres) of AD maize, 80ha (198 acres) of onions and a small area of sugar beet. About 800ha (1,978 acres) is located at Home Farm, with the remainder a mix of contract farming agreements extending up to 25 miles from Colton. 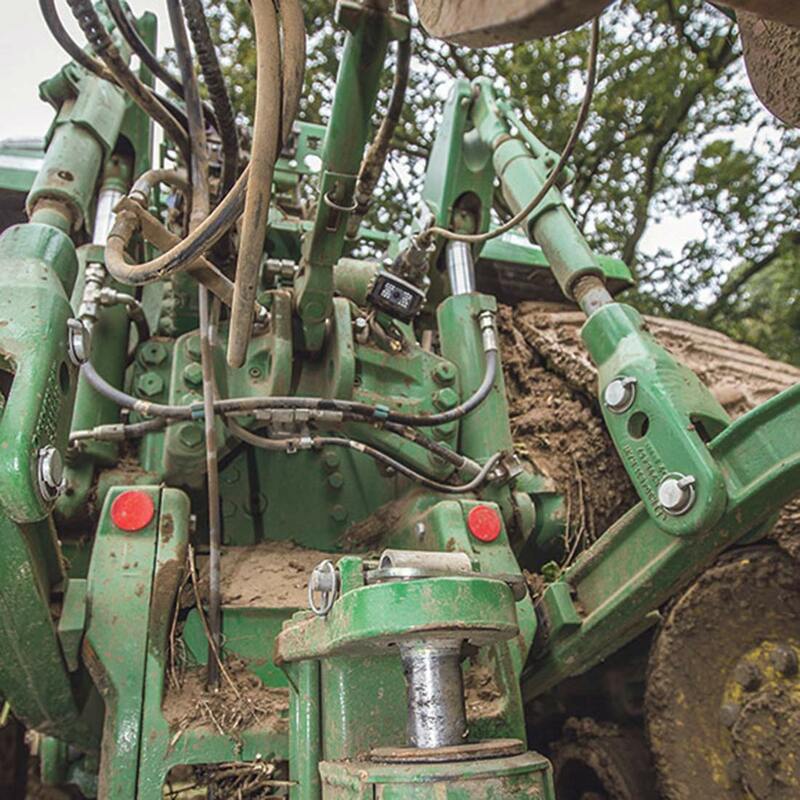 Soil types range from sandy loams to clay and the farm’s cultivations regime sees a mix of min-till and plough-based strategies used for seedbed preparation. It is a workload which puts a lot of emphasis on machine reliability and the performance and productivity placed on the sole frontline power unit. He says: “We are putting about 1,300-1,500 hours each season on our primary cultivations tractor. And where that tractor would have then been replaced outright, we have opted to extend their working life in a secondary role to support and back-up the main tractor. Mr Lockhart says having two rubber-track machines provides flexibility. The arrival of a John Deere 9570RX last July marks something of a sea change at Honingham, as the farm once relied entirely on a Case IH Quadtrac. However, Mr Lockhart says over the years the Quadtrac’s operating costs and its running gear have proved something of an Achilles’ heel, ultimately prompting the farm’s switch from red to green. Mr Lockhart says while cost is king, service back-up comes a close second. He says: “We heard about the 9RX two years ago, although it meant running our 2012 Quadtrac STX450 frontline tractor for an extra year. “We did look at a Versatile, and while its running gear is a big improvement over the Quadtrac, cab comfort is still a long way behind where it needs to be. 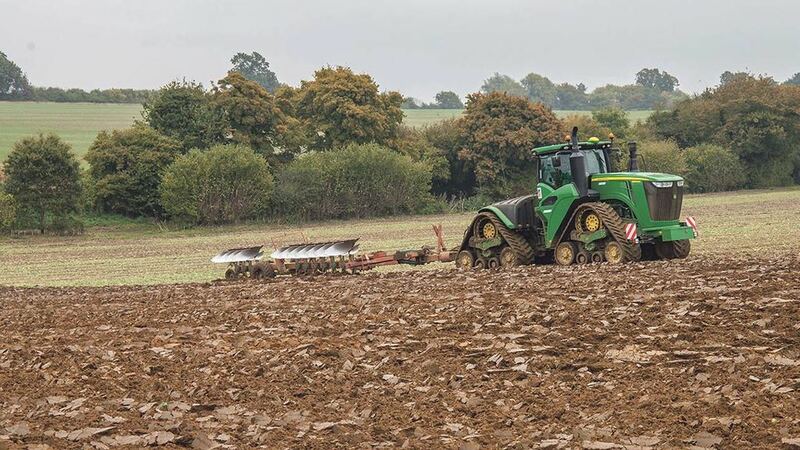 Honingham Thorpe Farms’ 9RX makes light work of ploughing with an 11-furrow Kverneland RX100 trailed plough. In addition, Mr Lockhart says the 9RX was competitively priced. “There was little between a 9520RX and a Quadtrac STX500, but in the end, we chose to up the power level for the future, settling on a 9570RX with its 15-litre Cummins engine. Key tasks for the 9570RX include ploughing with a 19-year-old Kverneland RX100 11-furrow reversible, cultivating with a 6.3-metre Gregoire Besson Discordon and subsoiling with a nine-leg Cousins Patriot. The 9RX also handles the bulk of the farm’s drilling, with an 8m Vaderstad Rapid. But when conditions dictate, a home-built 6m power harrow drill combination comes into play. Operator Paul Lawn, who has spent the last 37 years with Honingham Thorpe Farms, 20 of which have been in the cabs of the business’ rubber-tracked machines, is well placed to make an informed judgement on the market’s new contender. Operator Paul Lawn is pleased with the Deere’s performance. However, control integration is not yet quite what it should be, Mr Lawn says. “We are having to supplement the 4600 touchscreen terminal with a 2630 terminal to make sure we can send field documents directly to the office. It just lacks the complete level of sophistication we need, but we are told it is being worked on. Cab comfort gets a thumbs-up, but the decelerator switch is proving worthless. Mr Lawn says the tractor’s 628hp maximum power has put him comfortably on top of tasks currently carried out. Despite the added performance of choosing the Cummins-powered 9570RX over the 13-litre engined 9520RX, he says the farm is not suffering a fuel penalty. As this autumn’s workload has proved, fuel use is quite the opposite, with the Deere using much less fuel than the STX450 doing the same jobs. Mr Lawn says while the 9570RX is so far proving itself to be the best of the bunch, it is not perfect. Paul Lawn has fitted a rear-view camera. He says: “The decelerator is useless. It is not a pedal you can control, it is just a switch. After using a decelerator pedal for many years, this is a waste of time. 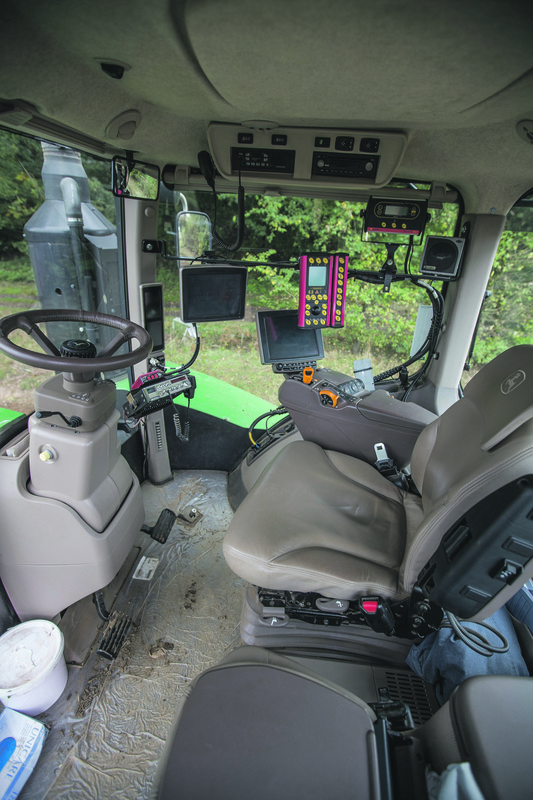 He has also added a rear-view camera on the three-point linkage to make hitching up safer and easier - something he believes Deere should fit as standard. Find new and used farm machinery for sale near you. Browse our online adverts for quality new and used tractors, combine harvesters, balers, trailers, foragers and sprayers.